Traditional Reclaimed Materials, with decades of experience, has a well deserved national reputation for providing the very finest reclaimed architectural salvage materials and reproductions. 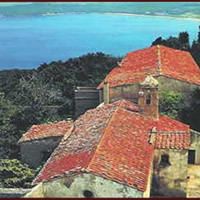 TRM has a wide assortment of reclaimed terra cotta roof tiles from France, Italy, Spain and Eastern Europe. 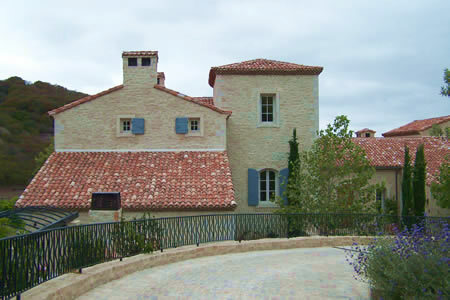 Terra cotta roofing comes in colors of primarily reds and roses or yellow, ochres and cream colors. A wide selection of CUP sizes vary from 15 inches to 23 inches long and from 5 inches to 9 inches wide. FLAT roofing range from reds or ochre colors and sizes from 12 inches to 21 inches long and from 6 inches to 10 inches wide. 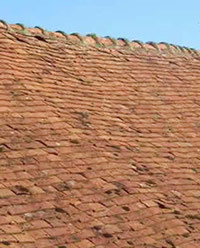 All roofings is relcaimed from villas, estates and older buildings and can be from 50 to 200 hundred years old. All the roofing we provide is sturdy, durable and can be installed in the US by qualified roofers. Having a reclaimed roof will add instant patina and character to any home and is a wonderful upgrade to any project. Reclaimed roofing can be used easily with new roofing as underpans and we at TRM can be of assistance in helping achieve this end. As our client's say "having one of our reclaimed antique roofs is like adding the best possible hat on a beautiful women".